Yesterday I had a fun day’s birding in the Yellow Butterfly Valley near Maolin, Kaohsiung. Had good views of a variety of birds, but not the one I was really hoping for - Fairy Pitta (though, I think I heard it...). The Pitta is more famously found in the area of Huben Village, Yunlin County and Tonglin Village, Taichung. 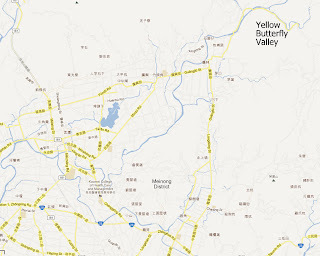 In the blazing sun, I explored the village, farmland, and forest leading to the ‘Yellow Butterfly Valley’ - a nondescript area of retired orchards and bamboo groves. The large-ish bridge at the start of the valley, before the arboretum, is a good location for the Maroon Oriole - split by some people as ‘Red Oriole’ or ‘Claret Oriole’. 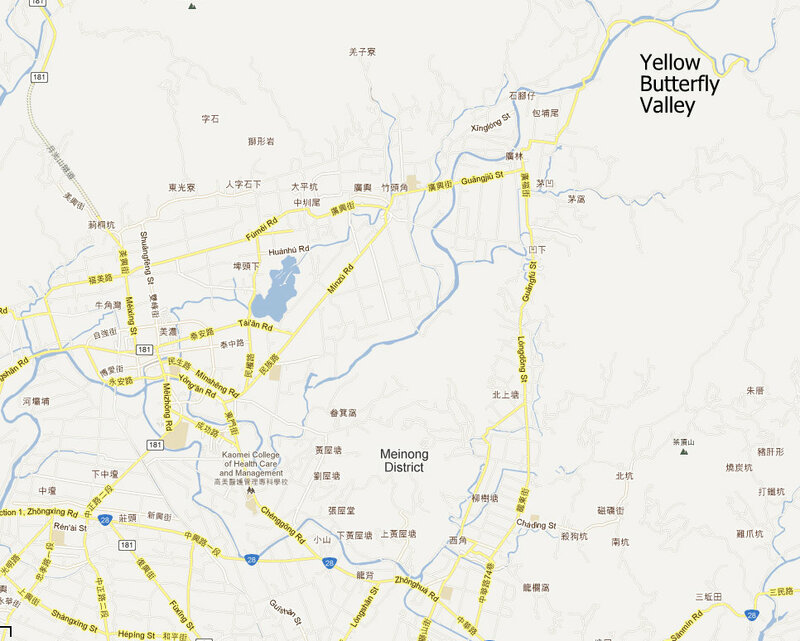 From the main road #28, or from Meinung, follow the signs to the Butterfly Valley. Be ready to get slightly lost on the way back. 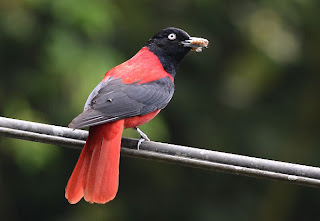 These are the birds observed in the farmland around Meinung, Shuangshi Arboreum, and in the Butterfly Valley. Crested Serpent Eagle - several. Bamboo Partridge - heard only. Swallows including Red-rumped and Barn. Dollarbird - a fairly rare migrant. 1 seen near Meinung Town. At the nearby Xinwei Forest I also spotted the Black-naped Oriole.